It's just typical isn't it, you go on holiday and as you walk out the front door, you are absolutely convinced that you have forgotten something. You've double/triple/quadruple checked that you have the essentials (railcard, money, keys, underwear), however, sod's law says that you will have forgotten something, but anything else you can buy when you get there if necessary. It is not a problem. So what did I forget when I went away last week? My Razor. Resulting in a stop-off at Tesco in Porthmadog to buy some Nair. 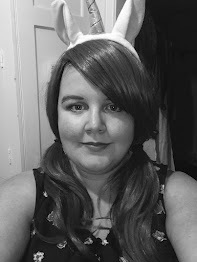 I like to buy Nair because it saves money on having a buy a razor and then buy shaving foam as well, plus I usually manage to buy it from ASDA for around 99p (and keeps my legs smooooth for around three or four uses!) 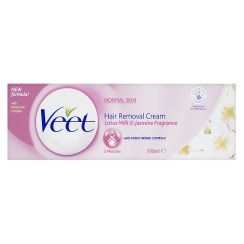 So, imagine my annoyance when Tesco not only does not stock Nair, but the only similar product is Veet, with the cheapest option costing me around £3.50!! It is fair to say, that I was not an amused Kitty Kat! When I buy Nair, all I usually get is the tube, nothing else. But, for some reason, Veet seemed to think that I needed my tube to come in a box. Why? This seemed incredibly waste-full. And, I know that the tube came with a spatula, which Nair does not. However, other products in the same range, by Veet, had the spatula's attached to the tube using a plastic wrapper, so I'm really not sure why this one came in a box. It just felt really unnecessary. I have only ever had one real gripe with Nair's Hair Removal Cream, and that is the smell. The actual cream doesn't smell of much, but when it is applied to the legs, it always smells really, really bad. Not unsurprisingly, this smell, that kind of resembles burning, is still evident with the Veet alternative, however, it has been masked slightly, making the smell much more bearable, by the fact that it has Lotus Milk and Jasmine in it, which gives a nice aroma. It was quite easy to apply, although I actually used my hand to do it, not quite liking using the spatula for this purpose, but I guess that is just a personal preference. The packaging says to leave it for 3 to 5 mins, 6 mins at the most, but I am an incredible impatient person, and the first time I used this (just on my underarms), I think I tried to take it off far too early, as no hairs appear to have been removed. However, on my second attempt (underarms and legs this time), I was much more successful, and my legs felt wonderfully smooth. This was actually the first time that I have ever used a hair removal cream on my underarms, so having to wait around before removing the cream was a bit annoying, especially when it is such a small area and with a razor is typically over with fairly quickly. For that reason, I don't think that I would bother using this method for underarms in the future. It's just to much messing around. For legs on the other hand, I'm experienced using these creams, and I'm still confident that this is the absolute best method for me.